Do you know what the worst part about eating a vegetable is? Look....it's already been established that I'm a jerk who sometimes says insensitive things. When I was a child, my mom would go into apoplexy whenever someone would ask me why I didn't like to eat vegetables. I'd tell them, "Well, you are what you eat!". When I got into middle school, I expanded that to explain why I didn't eat fruits, nuts and vegetables. I am going to burn eternally in whatever hell you choose to believe in. That's already been decided. But I will do it willingly. Because someones got to do it. And if my burning and suffering saves just one other soul, it will be worth it. But hearing me go on about what that basket of icky food is isn't the reason you're all here. And neither is my joke done in poor taste. No, the reason you're all here is because it gives you a reason to not work for a couple of minutes. But I don't mind. I am the consummate time waster. And also because it's Made Up Monday! The day where I tell you something and you decide if it's true or not. And todays subject has to do with vegetables. Or maybe it doesn't. Depends on if I'm lying or not. On second thoughts....No, it does have something to do with vegetables regardless of if I'm lying or not. Vegans, on the other hand, avoid any byproduct of animals. This includes honey. I can't do a post on the origin of the word vegan because everyone knows it's the old arabic word for 'annoying, preachy, assholes'. Before I get into the part of the post where you have to make a choice, I just want to get this out of the way; No matter what you've heard, 'Vegetarian' does not translate to 'Bad Hunter' in any language. Now, put on your thinking caps, because it's decision time. This is the part you have to decide on whether or not I made it up. Vegetarian the word actually has nothing to do with the word vegetable. It actually comes from the Latin word 'Vegetus', which means 'whole/fresh/lively/vigorous'. Because the people who were promoting a vegetable diet wanted to let people know it was better for them than meat, they used the word for vigorous. Remember, in the mid-19th century, latin was still taught in many schools. So my fellow odd-balls, am I lying? Is vegetarian derived from the latin word for vigorous? Stay tuned for tomorrow when I'll tell you the truth. 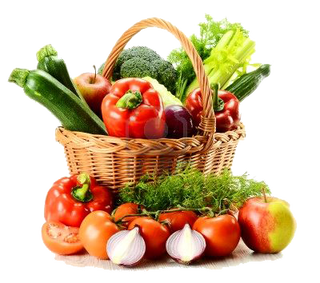 * In ancient Greece there were several prominent followers of the vegetable diet. Many people, famous and common alike preferred it. They were called Pythagoreans after the most famous adherent, Pythagorus.